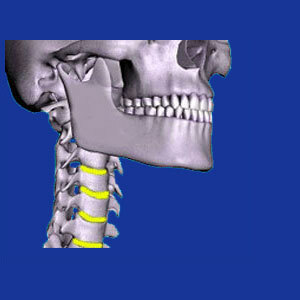 Cervical arthritis is a very common condition which usually begins around middle age. Osteoarthritis in the neck is seen in most adults past the age of 50 and in many adults who are quite a bit younger. Age, activity, genetics and other factors will all influence the onset timeline and progression of arthritic changes throughout the anatomy. Since the neck must move almost constantly, as well as support a heavy burden (the head), arthritic changes are considered normal in the middle cervical spinal levels. In fact, between C4 and C7, osteoarthritis is virtually universal in adults of a given age, although the extent and effects of the arthritic alteration vary greatly. This discussion centers on osteoarthritis in the cervical spine. Osteoarthritis is simply a name for a normal age and activity-related condition in which the protective measures in the joints degenerate. Osteoarthritis is not a disease, nor is it atypical. In fact, the overwhelming majority of middle-aged adults will demonstrate arthritic processes throughout their bodies. The spinal joints in the neck are protected by soft tissues, like cartilage, and are precisely fitted to ensure smooth movement and ideal functionality. When arthritis begins to affect the cervical joints, these protective measures breakdown and the joints begin to operate less than ideally. Bone surfaces begin to wear against one another, causing increased friction and the possible growth of bone spurs, also called osteophytes. While this sounds horrible, it is actually an expected process which rarely produces any significant degree of chronic discomfort in the majority of mild to moderate cases. Serious and extreme examples of cervical arthritic change can definitely produce acute neck pain, as well as chronic soreness, especially upon general or specific ranges of motion. However, since the arthritic processes are always evolving, many cases will still resolve, even without any treatment, as problematic bone growths and fragments are naturally worn away in some patients. Some of the worst possible consequences of cervical spinal arthritis are certainly the neurological problems which some patients may develop. Remember that the primary functions of the spine are to provide structural support for the torso and to protect the incredibly sensitive structures of the central nervous system. When the spine deteriorates, this may put the spinal cord and/or spinal nerves at risk. In extreme cases of arthritic change, this is exactly what can occur. Arthritic debris can decrease the patency of the central spinal canal, possibly enacting symptomatic spinal stenosis. Likewise, this debris can accumulate around the neuroforaminal openings, possibly causing a compressive neuropathy condition. While these serious neurological conditions do occur in some patients, they are often mistakenly diagnosed in others. Remember, in order to better the chances for positive and correct diagnosis of any nerve-related condition, be sure to seek a consultation with a specialist in spinal neurology. Far more commonplace is the incidence of varying degrees of mechanical pain, typically elicited upon movement. This occurs when sensitive bone surfaces rub against each other, possibly affecting the small nerves inside and around the joint capsule. Osteoarthritis is normal and almost universal. We all get it to some degree in many areas of our bodies. If you are past the age of 40, being diagnosed with osteoarthritic change should be no surprise at all. However, being diagnosed does not mean that neck pain is currently being caused by the arthritis, nor does it mean that pain will ever be caused by the progression of cervical arthritis. Most people have no pain, no neurological dysfunction and no disability now, and will never develop these symptoms to any large degree, from typical cases of osteoarthritis. For patients who are exceptions to this rule, treatment comes in a confusingly wide range of methods and modalities. Worse still, the effectiveness of therapies varies greatly from patient to patient, rather than treatment to treatment. Basically, what works well for one person, might not work well for another. To learn more about treating arthritis neck pain, consult with your orthopedist or neurologist, depending on the type of pain involved in the symptomatic expression.